So, you may recall that my dad recently started a blog. Well, my mom just did a post there as well, showing these wooden snowmen she made. I thought they would be fun to share with you. My mom usually leaves the woodworking to my dad, but she said these were easy and she cut and made them herself. 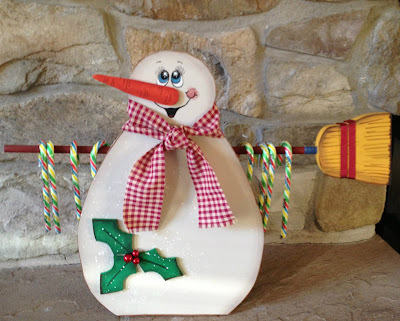 They would make a fun neighbor gift or just fun holiday decor for your own home. Here's another version with a cut out for a candle. This one also has more simplistic painting, if you're not up for the fancier details. For the full details and tutorial just head HERE to my dad's blog and my mom will give you the how to. Thanks for sharing your talents with us, Mom. And thank you all for stopping by. Love them, but I can't find them on your Dads blog? I looked too and I didn't find them on the blog. Also, I forget to check his blog everyday. He doesn't have a subscribe by email option. Is that coming? That's adorable! 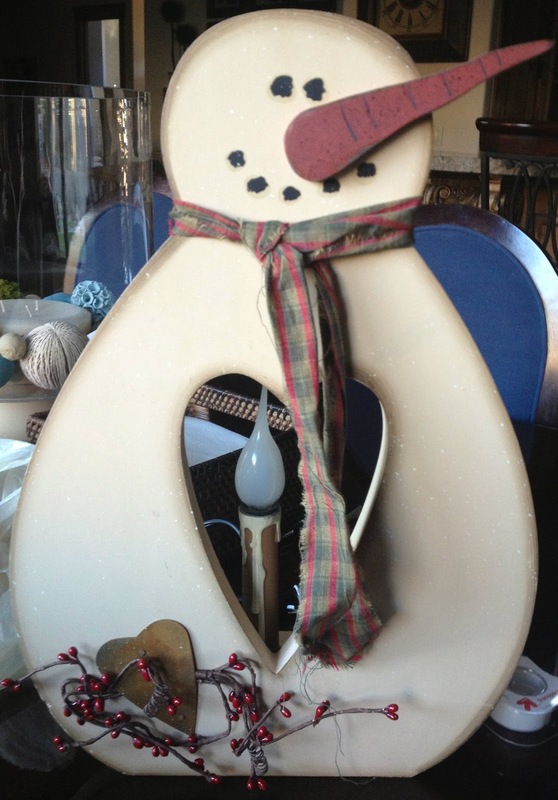 My mom is obsessed with snowmen and would be in love with that! This is adorable! I love old fashioned holiday decor. Her post is up now and the link will take you to that exact post. Sorry for the confusion ladies! Wow, now we see where you get your creative talent! Sweet. So adorable!! 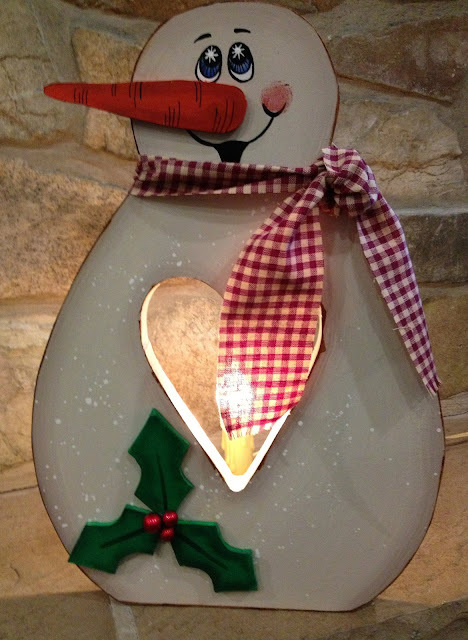 I love anything that brightens up this season! !